In addition to twenty Main Stage performances beginning Thursday afternoon through Sunday evening, Strawberry offers intimate Play Stage Q&A performances, the Band Scramble, the Breakfast Club, the Revival on Sunday morning, Kids Program performances, and Hog Ranch Radio broadcasts throughout the festival. Whether it includes audience participation or is a special intimate performance, each program offers a unique feel laced with good ‘ol Strawberry enthusiasm. To see what we mean, view the Strawberry Spring 2017 Performance Schedule and our Strawberry Spring 2017 Family Activities from the festival program. 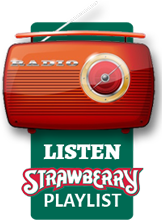 Hog Ranch Radio– The Hog crew operates a low power FM radio station, which exists only at the Strawberry Music Festivals. Besides transmitting virtually all of the live music from the Main Stage in stereo, the Hog’s mission is to reflect the spirit and the sounds of Strawberry back to itself. In addition to remote broadcasts including the Band Scramble, the Breakfast Club, Play Stage performances, and special fireless Campfire Jams, we also utilize the Hog to keep our audience safe and informed throughout the festival. If you’d like to see how pirate radio works at the festival, take the Hog tour on Saturday morning. Don’t forget to stop by the Hog tent to purchase a one of a kind Hog Ranch Radio T-Shirt. The Band Scramble– Camp musicians one and all gather at 1:00 pm on Thursday to kick off the weekend’s festivities. Hosted by Cactus Bob and Prairie Flower, all musicians are invited to bring their instruments and get randomly blended into a band. Each group has one hour to come up with a band name, 2 songs, a joke, and create a Hog Radio station ID. Then after the hour of practice is up, it’s a live show and broadcast on the radio! The champion is chosen by audience response and the winner will take home silly prizes and bragging rights. It’s a fun event to see in person and or hear live on Hog Ranch Radio while setting up camp! Sign-ups take place on Thursday at noon. Breakfast Club– The Hog’s typical broadcast day begins with the Breakfast Club on Friday, Saturday, and Sunday mornings. Head on down to the Breakfast Club for homemade morning music live or enjoy it with your morning coffee on the Hog. Anyone can perform at the Breakfast Club and earn a free breakfast while doing so. Signs ups to play the Breakfast Club take place on the preceding afternoon at the Hog tent. The Revival– Strawberry brings you the Revival from 9:00 am -11:00 am on Sunday morning. Not just a gospel show, the Revival is a celebration of music and the human spirit. A great way to kick off the last day of the festival, The Revival is best enjoyed in person, but if you must you can stay in bed and hear it on the Hog. The Revival showcases festival favorites with a flair for reverence and always begins with storyteller B.Z. Smith spinning our berry beautiful yarn. Stick around after the Revival and enjoy the Kids Parade. Activities For Kids of All Ages – Kids of all ages can delight in a variety of activities including musical performances for kids, storytelling, the “Sunday Story Swap”, yoga, dance workshops (swing, contra, Caribbean, aerobics, and more), art & photography workshops, Fiddle for Kids and Adults, New Games, nature programs, family sing-a-longs, and much more. A highlight of the weekend’s festivities is the Strawberry Kids’ Parade on Sunday morning after the Revival. You will find a complete list of the activities offered at the festivals by looking at your festival program when you arrive.